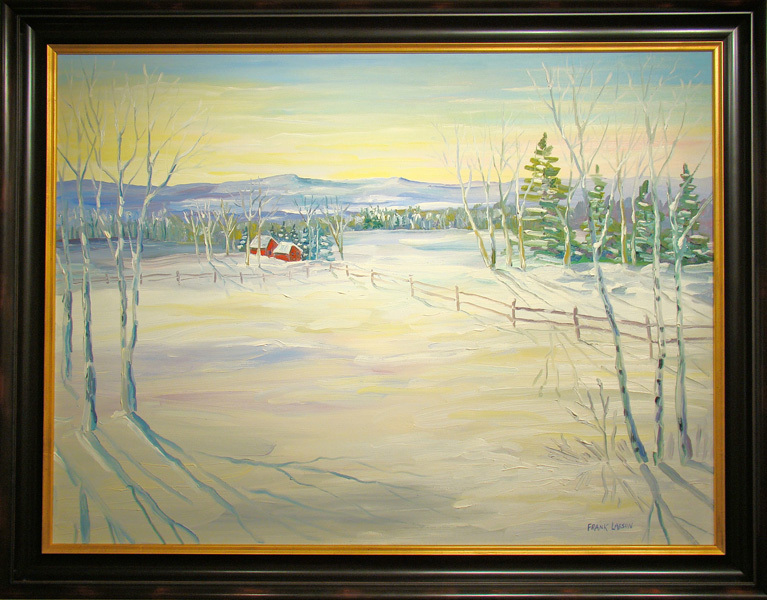 Frank Larson lives close to the Stowe area in the rolling hills and farmlands of Westford, Vermont. 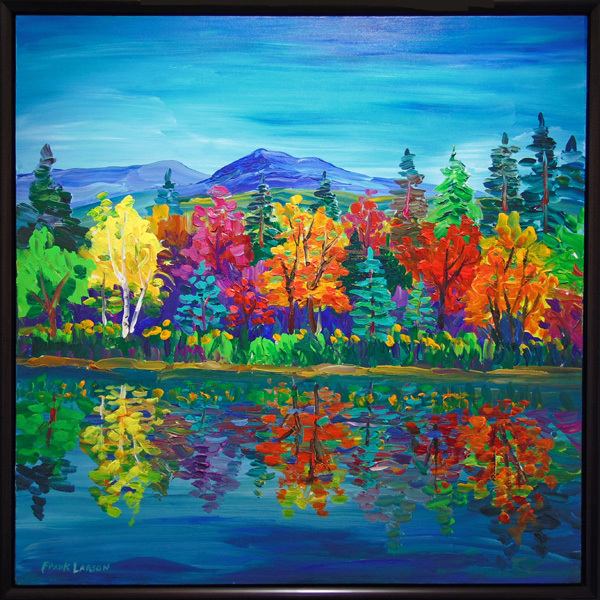 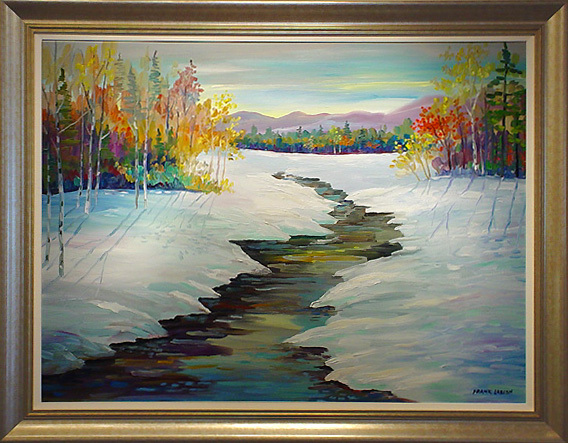 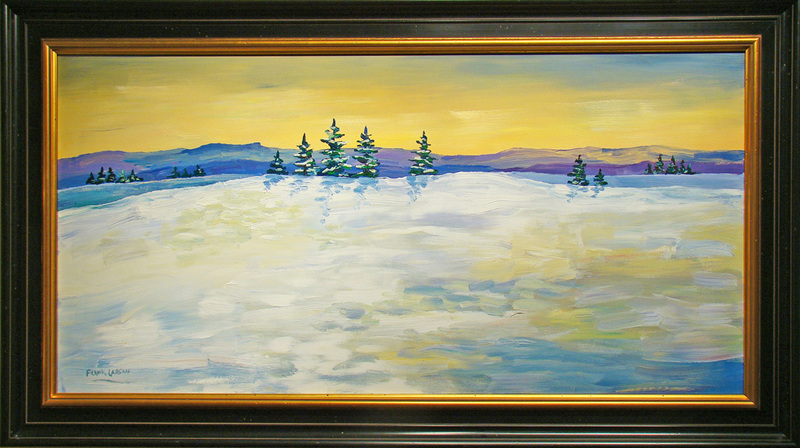 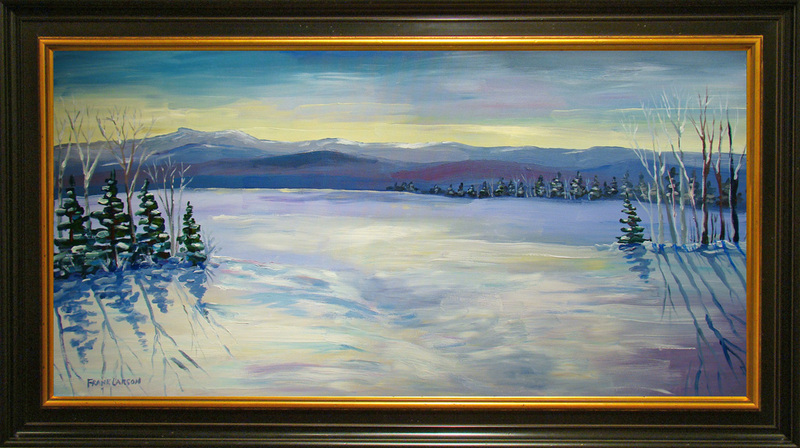 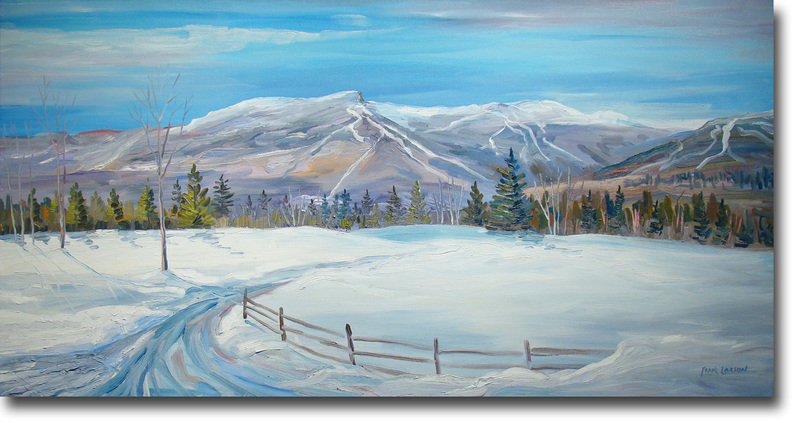 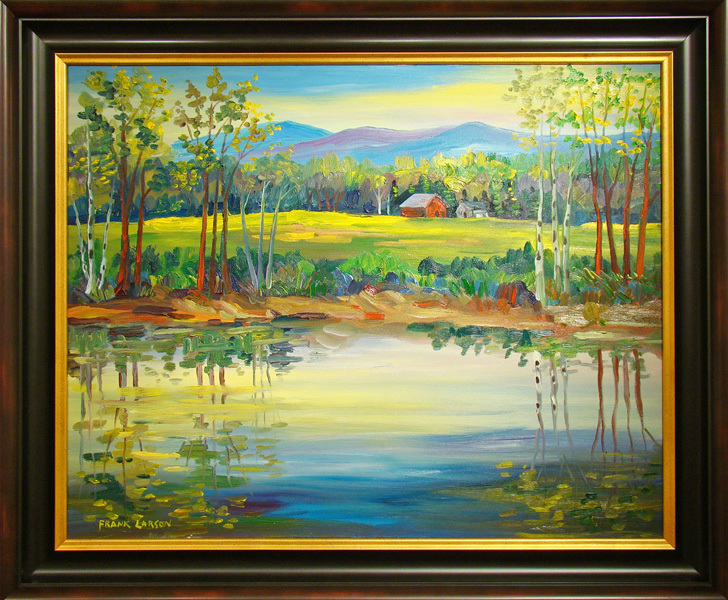 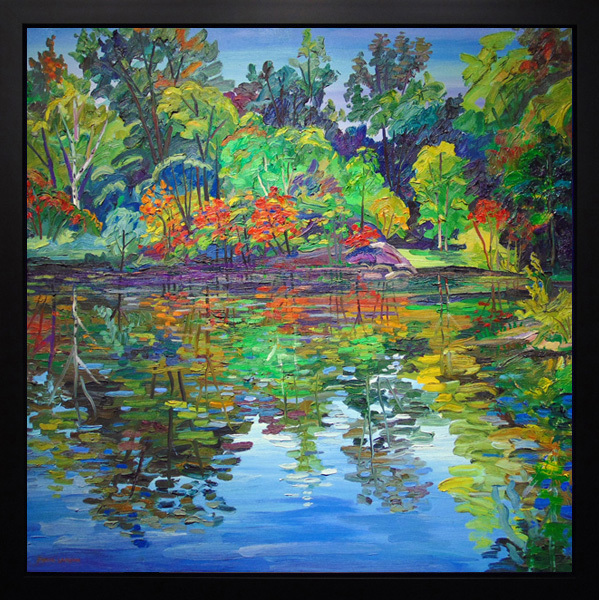 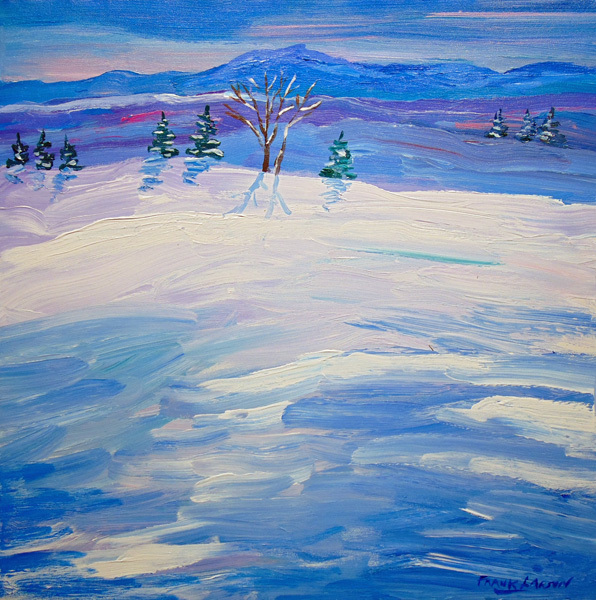 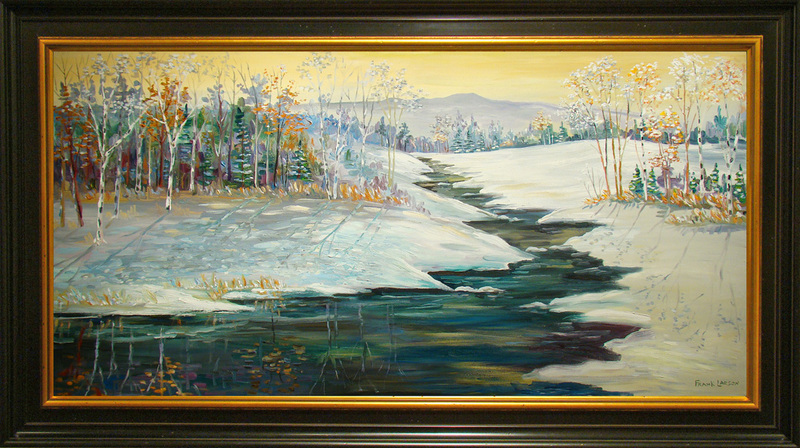 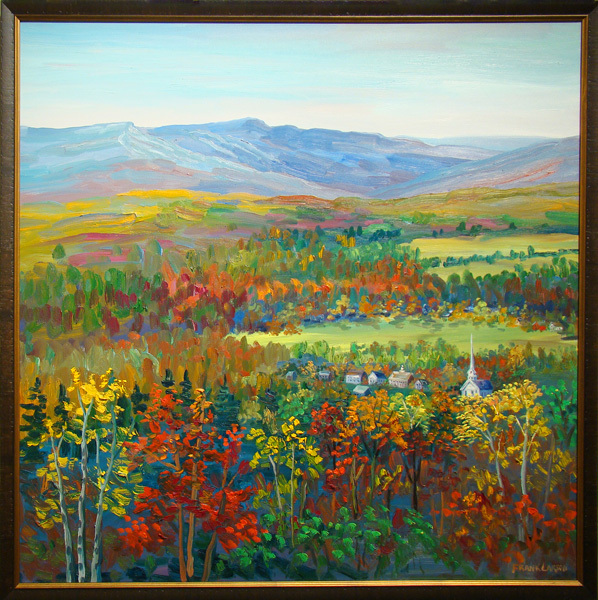 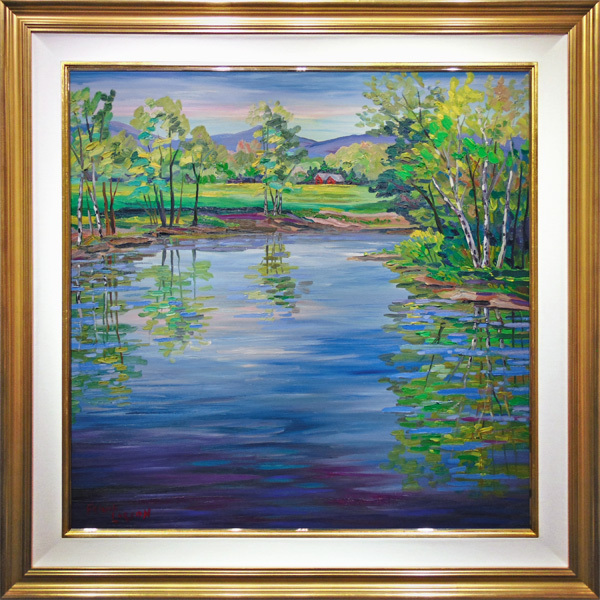 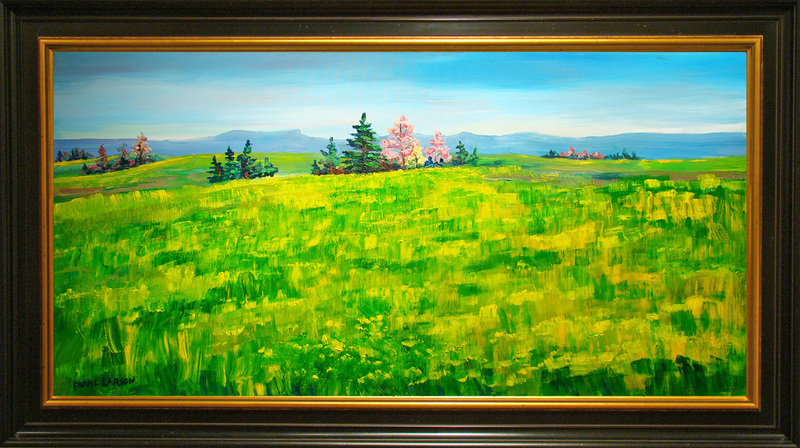 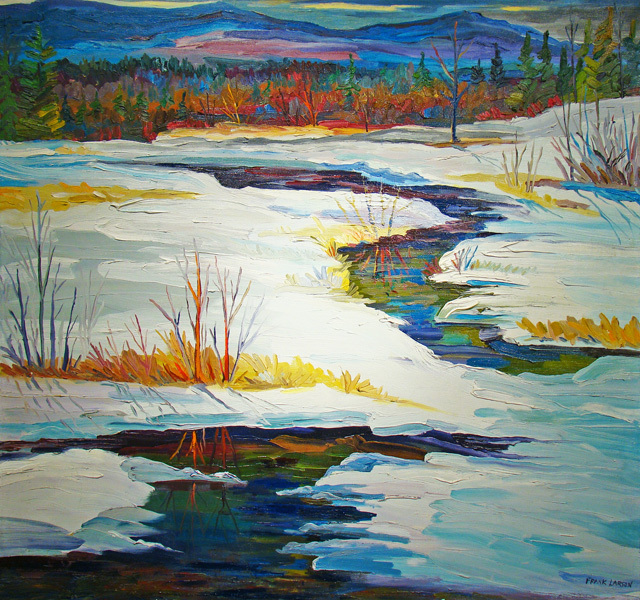 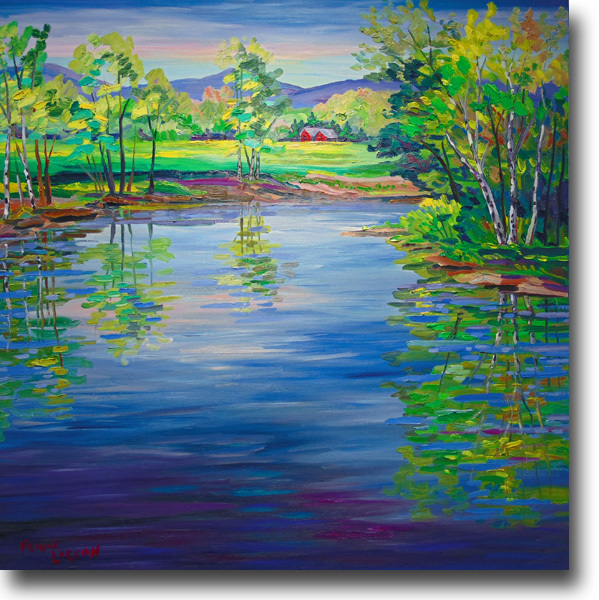 He is a well known landscape painter who captures the light and color of rural, northern Vermont on canvas. 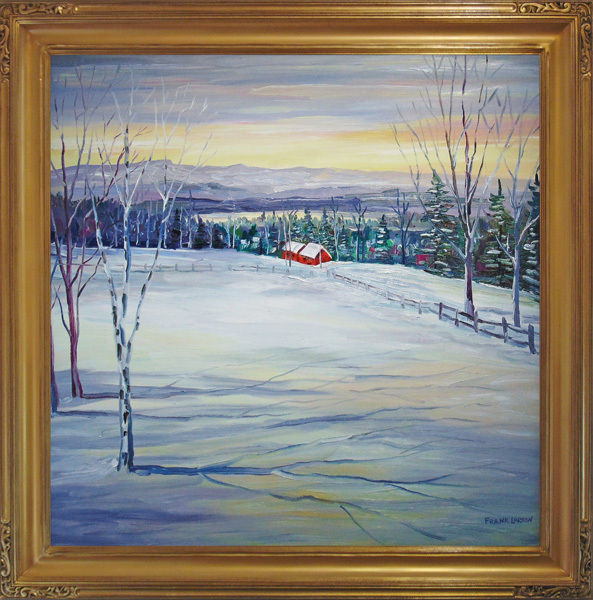 Typically, Larson heads out in his pickup truck scouting for a picture. 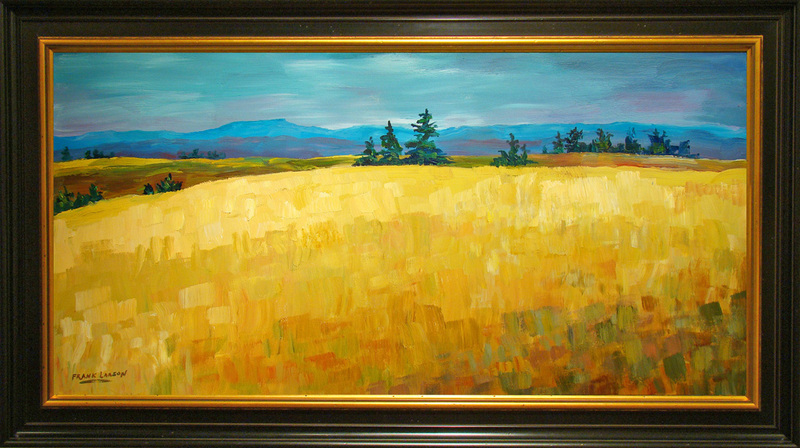 Long ago, he learned that working in the wind and sun helped vitalize his palate. 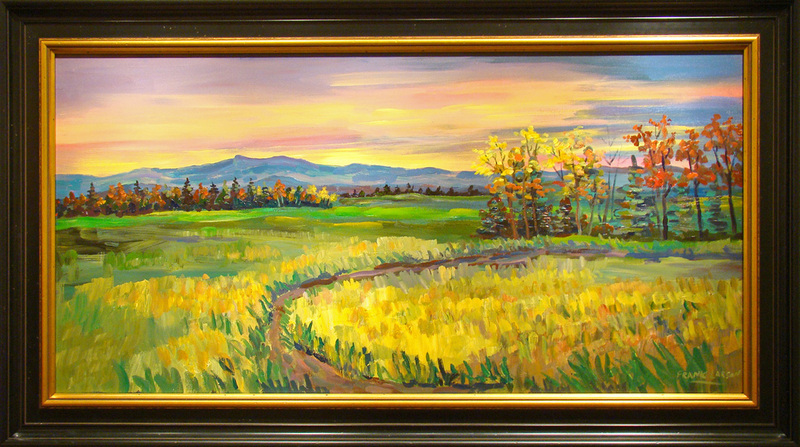 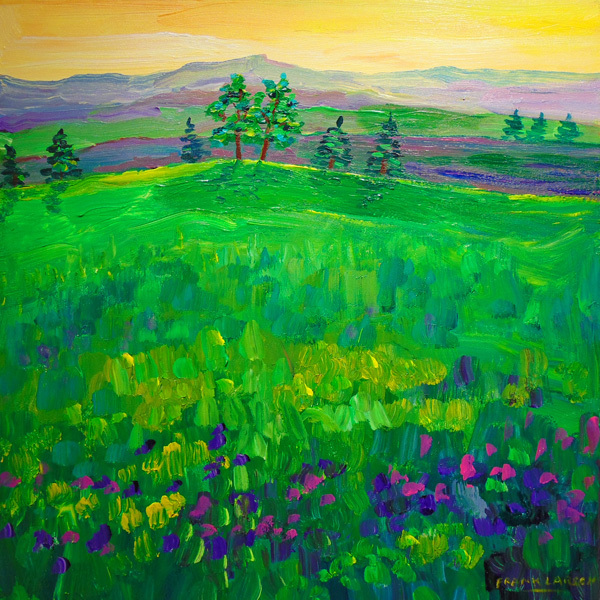 Frank paints the uncommon beauty of Vermont’s commonplace waysides and fills them with clear, marvelous colors and shadows. 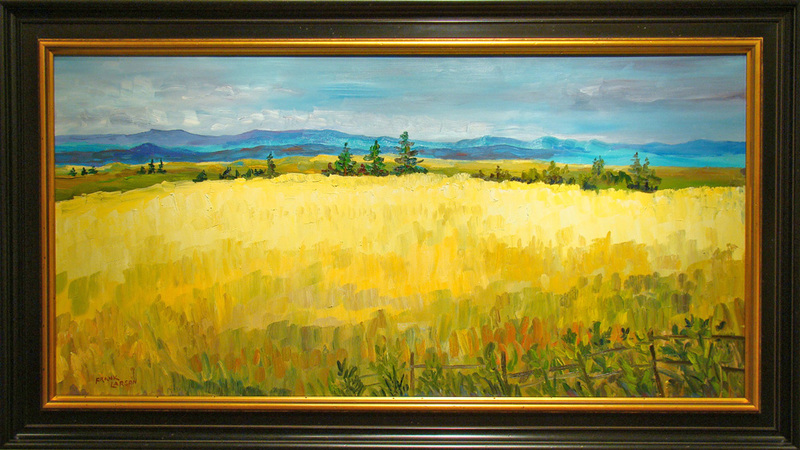 Larson’s brush reveals the quiet harmony of our northern fields, rivers and hills; and, invites the eye to linger and wonder at his view of the world. 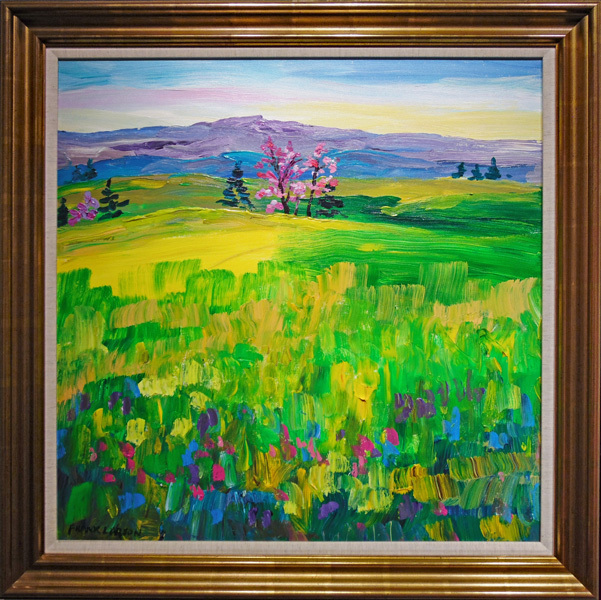 Mr. Larson earned a Pratt BFA and Yale MFA in the 1960’s, and in a previous incarnation was a hugely successful graphic illustrator with some of America’s largest corporations, including General Foods Corporation, Gillette, International Paper and the Museum of Modern Art, New York, NY. 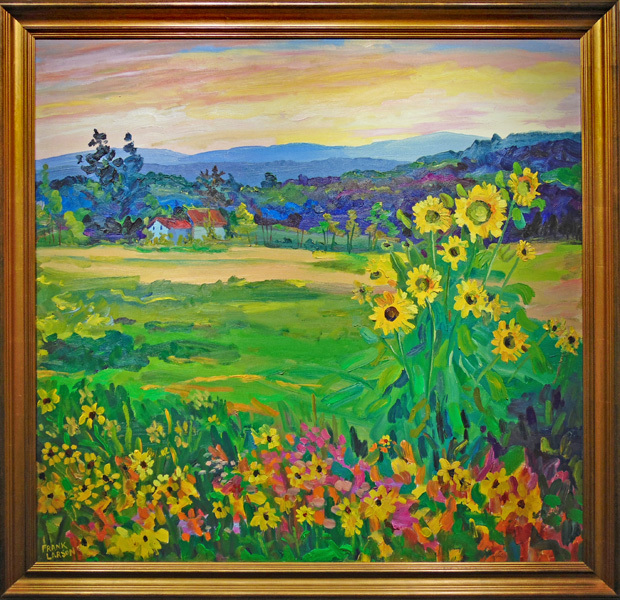 He still sees his work on shelves when he goes shopping, anonymous testimony to his talented eye. 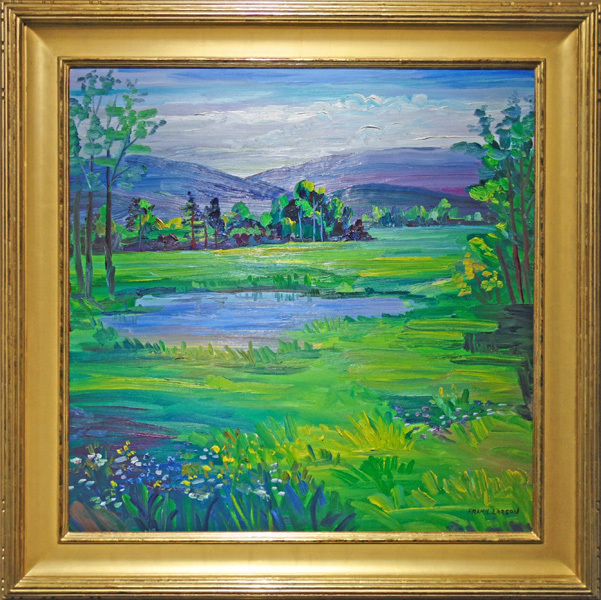 Although, something in the back of his mind had always tugged at him, and in the late 1980’s he came to Johnson and the Vermont Studio Center to study painting. 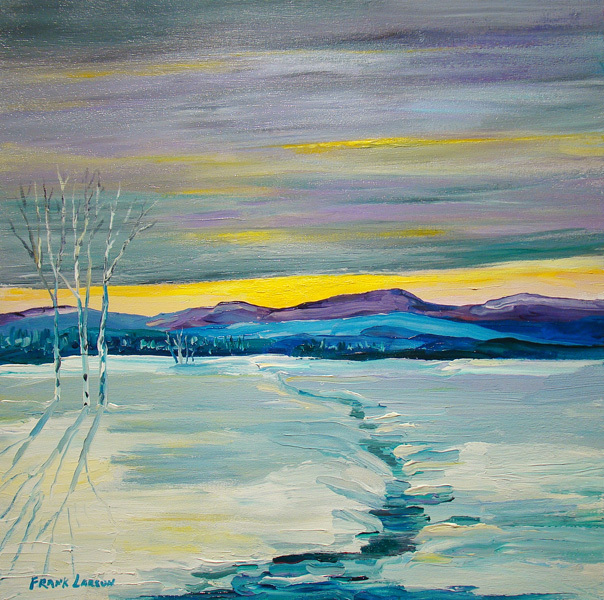 Soon after, he moved to the hills of Vermont to follow his dream and paint the light. 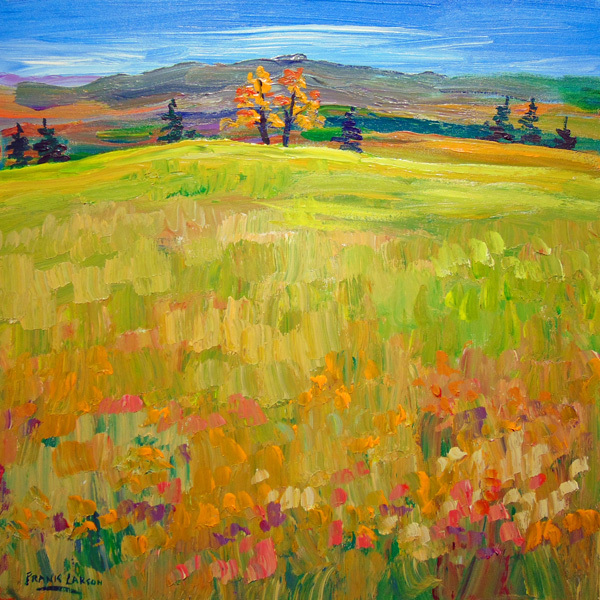 Frank Larson has a long list of shows, prizes and honors associated with his work, including articles in American Artist Magazine and The Art of the State, Abrams book publishers. 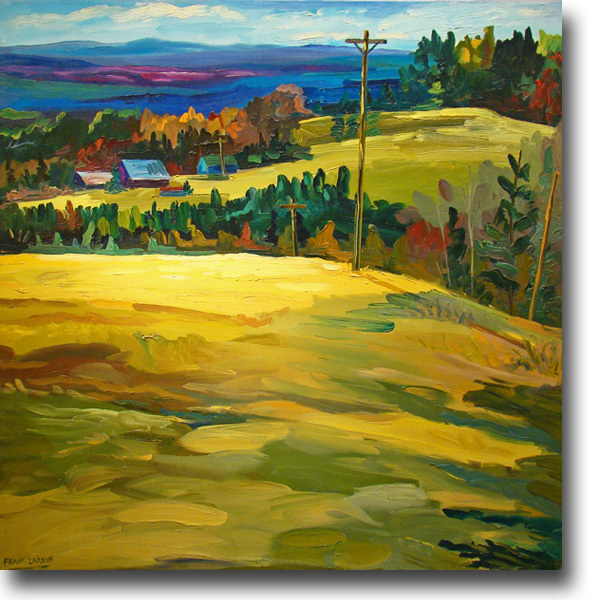 Although, it’s the work of Frank Larson that draws you to those scenic back roads, streams and hills. 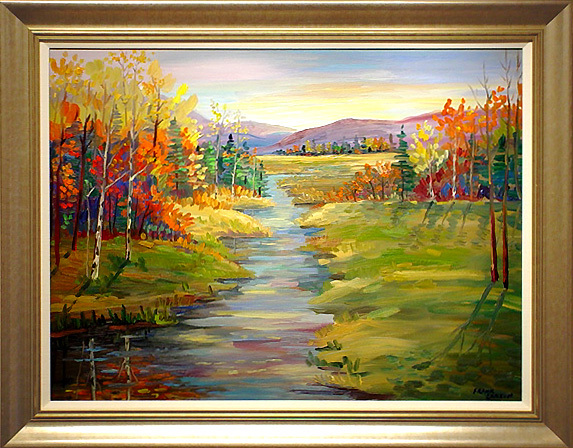 And if people want to know what it’s like in Vermont, all they have to do is follow Frank’s paintings back to this beautiful country. 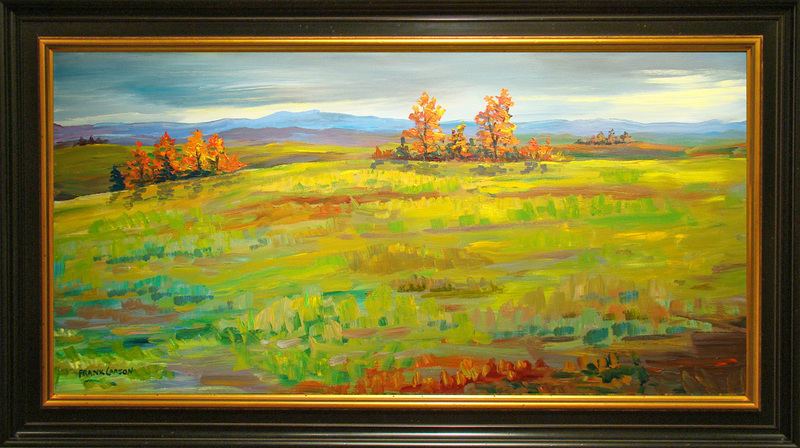 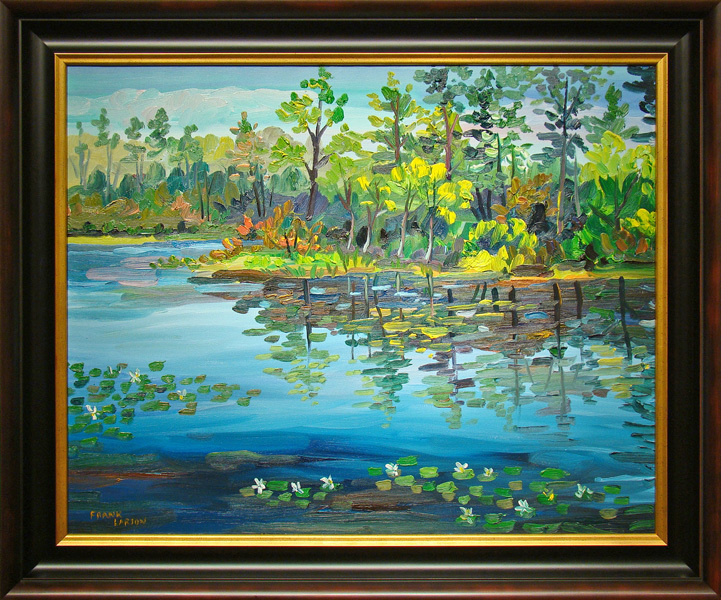 Robert Paul Galleries is proud to show the works of American artist Frank Larson.